You’re most likely reading this because you LOVE the idea of being a midwife, helping expectant and new mums, safely delivering new-born babies and supporting parents through this life-changing roller-coaster. But getting a place on a university course can be tough. There is a lot of competition and they will only choose the best. Too many people who dream about doing this amazing job don’t even apply because they think it will be too hard for them. They are so passionate about midwifery, but are scared to try because they worry about failing. If you haven’t tried everything, it’s not time to give up. IMAGINE FOR A MINUTE…. the sense of pride as you step into your new uniform. Being caught up in the joy, the urgency, the excitement and the anxiety of a birth, knowing you have the power to deliver a baby safely into the world. Your touch being the first an infant feels. IMAGINE GOING HOME AFTER WORK…. being asked how your day was and being able to smile and tell meaningful stories, where you made a big difference to the most important and memorable days parents will ever have. Most things are hard to do if you don’t know how. But what if there was a way to fast-track your knowledge of the profession and everything you need to begin your career as a midwife? Would you think it was worth a try? Midwife and website co-founder Emily: “Aged 21 I had been working at a travel agency for 2 years. Although I enjoyed helping families plan their holidays, it wasn’t enough for me. But with ‘D’ grades in Maths and Sciences GCSEs and no relevant work experience, it felt like my dream of becoming a midwife was out of my reach. Fast-forward 14 years and I am a senior midwife who has mentored lots of people to succeed in the profession and delivered too many babies to count!! 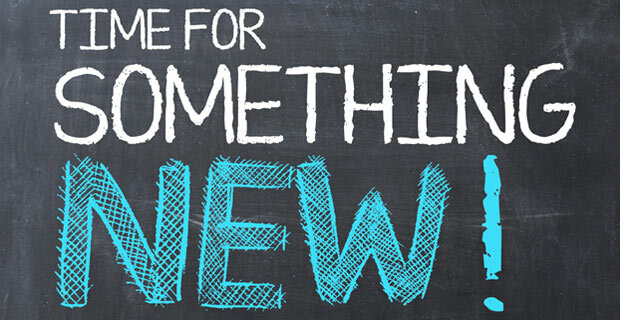 We understand that the application process can seem too daunting to even begin. Or that an application that ends in rejection can feel like the end of the world. But we are here to tell you not to give up! Now is the time for you to take a leap into the unknown. We will be there to support you every step of the way. The simplest way to get you started is to share our most relevant knowledge, behind- the- scene stories, and up-to-date guidance in one easy place; a short, interactive, fun and skills-based e-learning course. What will the e-learning course look like? This internet-based course will guide you step by step through all the tips and know-how you need to sail through your midwifery application, all from the comfort of your computer. You can complete the online course where and when you like, making it convenient and accessible no matter how busy your life is. The course is divided into 9 manageable modules which you can work through at your own pace and pick up and pause to suit the time you have. Each module should take around 45 minutes to complete, creating the perfect learning environment whether you’ve been out of education for a while or keen to continue any recent learning. Learning is made easy with interactive exercises, case studies, questions, real-life stories, fact sheets, interviews, exercises, examples, checklists and videos to keep you interested and motivated. There are fun quizzes and summaries to recap and check your knowledge as you go. What will our course will help you with? This course isn’t too long, but it does give you all the short-cuts you need to start a career that you will love. Introducing the Expert Team behind the Course..
I’m Emily – (you may have seen me on One Born Every Minute and the Christmas Pampers advert 2017!). I share everything you need to know about being a midwife and how to prepare your UCAs application. My good friend Hannah is a Psychologist who specialises in work and assessments. Her expertise in behaviour and demonstrating career potential will help you shine your way into a place on a midwifery training course. With midwifery being such a sought-after career, even if you are lucky enough to be invited to a selection day the odds of gaining one of the few places on a university training course are stacked against you. The tests are tough and the assessors will only offer places to the very best candidates. Our course is designed to help you overcome ALL the obstacles in your way, preparing you to submit a top-notch application, deliver an impressive selection day performance and be the sort of midwife you have always aspired to be. Anyone who would love to be a midwife! Excited?! Us too! 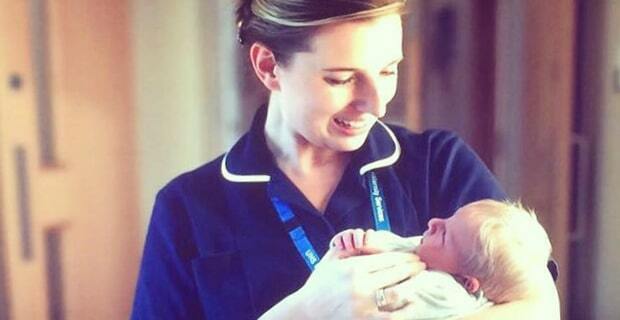 We’re delighted to help you become one of the next group of Midwives to join our profession. Click Here to Get started. Module 1 – Introduction to the profession – is it right for you? 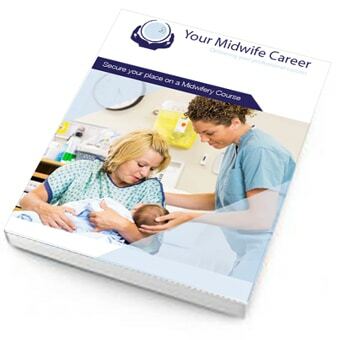 Module 3 – Midwife roles, responsibilities – how would you manage the challenges? We’ll provide opportunities for you to gain feedback on your progress throughout the course. Plus, we show you how you can work with us one to one to review your university application form or interview answers if you need us to. You’ll be given the option to access on-going support with your midwifery applications from our friendly and knowledgeable team. Even if you aren’t 100% sure if you want to be a midwife, this course is a great place to find out. If you buy the course but decide that the content doesn’t match your expectations we will give you a full refund within 24 hours of purchase. We often use help to get us the results we want, whether that’s a personal trainer at the gym, a dating app to find a partner, study guides to pass our exams. This is no different. The more help you can get in advance of applying, the better your chances of getting in will be. We’ve made sure our e-course covers only what you need to know to reach your goal. You won’t spend hours reading about things that won’t matter to your application or interview. We do cover a lot, but with interactive quizzes and varied screens it won’t even feel like you are learning! The course is the perfect length to get you the results you need as easily as smoothly, enjoyably as quickly as possible. No! People of all ages have different skills and experience to offer. Irrespective of age you need to learn how to complete your UCAS application form to showcase who you are and how much potential you have. Without help, most people aren’t usually very good at this, which makes it easy for the universities to reject over 90% of applicants. Is there anything you don’t cover? Other courses seem to cover everything from pre-eclampsia to suturing, infection control to the importance of breastfeeding, which they claim will fast-track you through your midwifery training. But the simple fact is that unless your UCAS form is selected, and unless you are able to demonstrate that you are the right sort of person with the right sort of aptitudes at your university selection day, NONE of that knowledge will matter! Everything you need to know about practicing midwifery will be covered on your degree course. There are no early short-cuts or fast-tracks through that. So, taking the time and energy to learn all that information in advance just isn’t the best use of your time or money. What is my priority if I want to become a midwife? Right now, the first thing you need is to learn how to write an application which ‘sells’ you and provides real evidence which will inspire the university recruiters that you are a perfect midwifery candidate. With an invite to attend an assessment day at the university you will have your foot in the door. 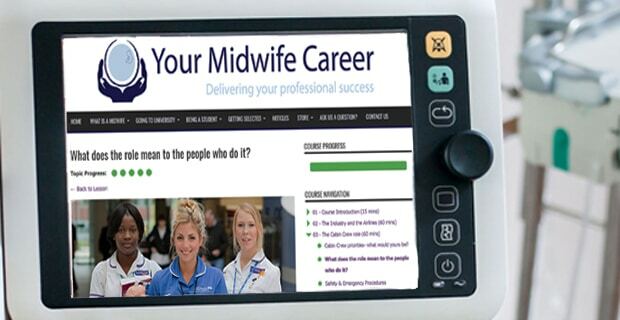 Our e-course also covers everything you need to know AND do once you are there, to make sure you are offered a place at university to train to become a midwife.